When hearing the word bankruptcy, the first thing that crosses our mind is that it represents failure and shame. However, for many people around the world, bankruptcy is the path that can lead them out of a financial crisis. In conclusion, it isn’t for failures, it is for the people who realize and accept that, in order to be successful, they must start over. There are a lot of things that can lead one into bankruptcy. Unexpected crises such as medical emergencies, loss of employment or a hefty loss in business can all cause irreversible damages to a person’s finances. Moreover, the average American is burdened by so many debts and expenses that it can get extremely difficult for them to sustain themselves financially. Speaking in terms of numbers, the average credit card debt for an American is around $15,800, student loans can amount to $24,000 on average, and mortgage debt can be a liability of at least a $100,000. The burden of repaying these, coupled with other expenses such as insurance premiums, vehicle loan payments and the basic costs of living, can cripple people if they are hit by a crisis which has a substantial impact on either their income or expenses. Bankruptcy is considered, by many, to be somewhat of an extreme measure. However, by looking into the specifics, dynamics and the workings of bankruptcy, any individual can figure out if it will be a good decision to declare bankruptcy for the sake of their financial future. As said before, bankruptcy is an extreme decision. However, it can be a positive option for people who are unable to pay their debts despite the fact that they are minimizing their expenses. But, there are some things that you need to try before considering filing for bankruptcy. Your first efforts should be put towards renegotiating your debt. This can be done through credit counseling or a debt reduction program. Renegotiating might damage your credit score, but filing a bankruptcy means not being able to take out any kind of loan for several years. You should try to get the best results out of a renegotiating attempt if you plan on taking out a loan later on. In the case that you still must choose bankruptcy, you should adapt to living with your current income and, after becoming eligible for loans again, avoid making decisions that could land you in a financial crisis all over again. In simple terms, bankruptcy is like flicking the switch of your debt history off and then back on. It resets your consumer debts such as those associated with your credit card, vehicle, mortgage, etc. 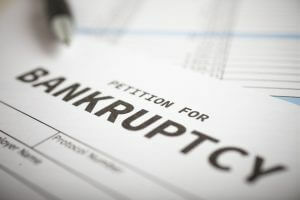 Filing for bankruptcy means cutting off the relations with your creditors so that they won’t pursue you for payments and you won’t be able to get new debts from them (at least for some amount of time). It is a misconception that bankruptcy ruins your reputation. It might hurt your chances of getting loans and credit, but that is all. It is basically a personal decision that enables you to restructure and renew your financial situation for the sake of yourself and your family. It is widely (and wrongly) believed that bankruptcy leads to the loss of all assets. However, contrary to this, many assets that you own are protected by bankruptcy laws within the bankruptcy court. The assets include furnishings, retirement saving accounts, basic homes and vehicles (inexpensive ones). The specifics vary state to state and at the federal level, so you should check the laws in your state or area to have better information about what is protected. On the federal level, retirement accounts are protected to a limit of $1,171,650. Other things that are protected include your 401(k) account, pension, disability, IRA and Social Security benefits. This is the reason why many lawyers recommend against borrowing from a protected account for the repayment of debt. There are many things that you need to compare in order to be sure that declaration of bankruptcy is feasible. First, you should know that, on average, filing bankruptcy costs $2,500. In order for it to be feasible, the debt relief you get by filing bankruptcy should amount to more than $2,500. Second, if student loans are your primary form of debt, then bankruptcy won’t have much of an effect because it isn’t possible to dismiss student debt in bankruptcy. The possibility of student loans being discharged is only present in a limited number of circumstances. If your primary debts are unsecured such as credit card debt, medical debt, etc., then it might be easier for you to remove these via bankruptcy. Bankruptcy can be difficult, both emotionally and because of the fact that it might damage your financial portfolio, hindering your ability to easily get loans in the future. However, it can be a tool for many to break free from loans that might be limiting and even posing a danger to the financial future of their family. If used wisely and strategically, it can help you start over and avoid any kind of mistakes you made in the first place. Interpreting Profit Margin – Standalone or Comparison Basis What Does A CPA Do?